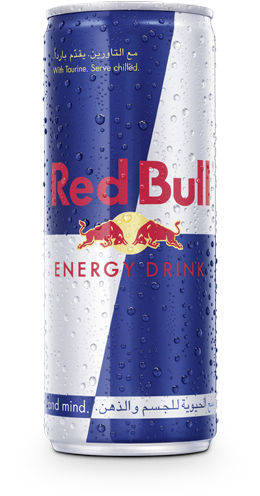 The water in Red Bull is alpine water of highest quality, which comes from the Austrian and Swiss Alps. The sugar is produced from sugar beet. Ingredients such as taurine, caffeine and vitamins are synthetically produced to ensure high and consistent quality. All ingredients comply with food regulatory requirements. The fact that ingredients are produced synthetically results in consistent high quality and safety.